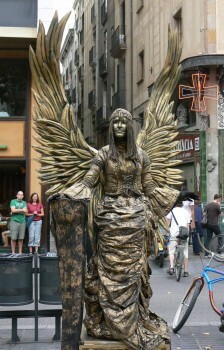 Las Ramblas is a pedestrian street in Barcelona, Spain. It is a massive thoroughfare that is popular with locals and tourists alike. It is one of the most unique streets in the world and the first place I always go when I am in Barcelona. 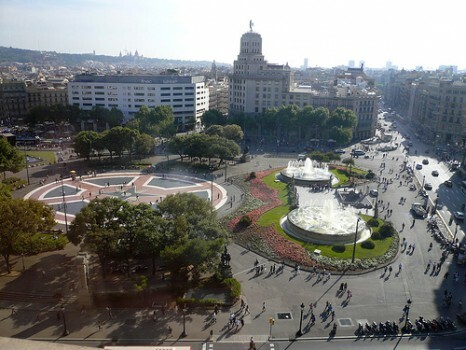 Las Ramblas is nearly a mile long or 1.2 kilometers stretching from the Mediterranean Sea at Maremagnum and the Columbus Monument to the heart of Barcelona at Plaza de Catalunya. It is lined with kiosks selling everything under the sun from flowers and animals to magazines, postcards, gelato and FC Barcelona gear. It also features a ton of touristy style outdoor cafes wherein the food isn’t that great but the people watching may be the worlds best and I am not exaggerating on that. Sitting at one of the outdoor cafes on Las Ramblas is one of my favorite things to do. Not only because they have great sangria by the pitcher or Oktoberfest style liters of beer but because of the diversity of the people you’ll find. 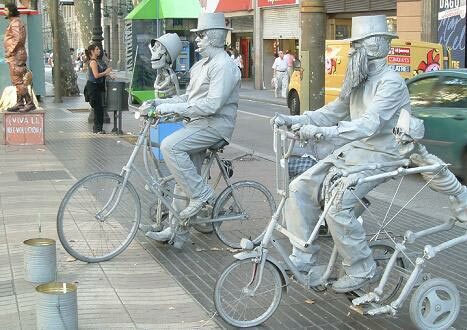 Street performers are also the major calling card of Barcelona. They are the best in the world. They are literally human statues that only come to life when you feed them money. They come in all shapes and sizes and are generally painted from head to toe and standing high up on a crate or something to gain more attention. They are fascinating. Small kids love them or are scared to death of them. 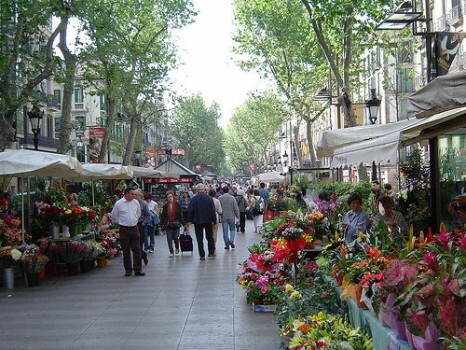 Las Ramblas is also famous for it’s petty crime, pickpockets and cheats. You have to be careful at night and I am not just saying that as a normal precaution. Just three nights ago I was sitting on Las Ramblas around midnight with my 2 friends, Kim and Jessica, and Kim had her iPhone on the table. A young man posing as a homeless man looking for money came over with a sign and stuck it in Kim and I’s faces essentially blinding us. With his other hand he snatched her iPhone. Her or I never would have noticed until it was too late but Jessica caught the act and grabbed his hand and saved Kim’s iPhone. 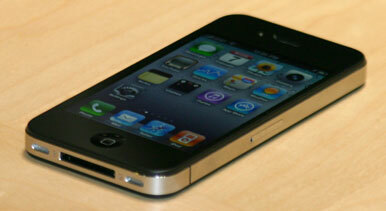 Her ninja like stealth is all that saved the iPhone and the hefty cost of replacing it. These types of scams are commonplace on Las Ramblas. That man got away as we didn’t chase him or anything so hopefully he got busted later on but I fear those guys get away with a lot more than they get busted for, sadly. I’ve heard many stories like that but that was the first I’ve actually witnessed. 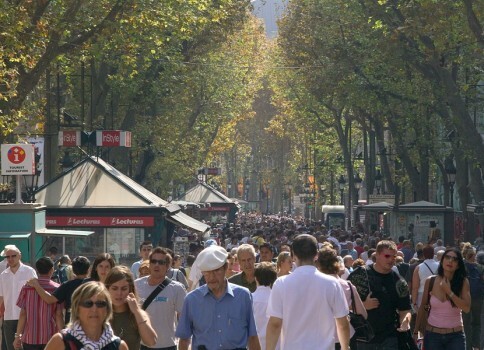 Las Ramblas is a haven for petty crime because there are so many people. Many people sitting are drinking and have been for hours so their wits aren’t about them properly. Just be careful and don’t leave money or phones on the table. That all said, Las Ramblas is one of my favorite places in the world. 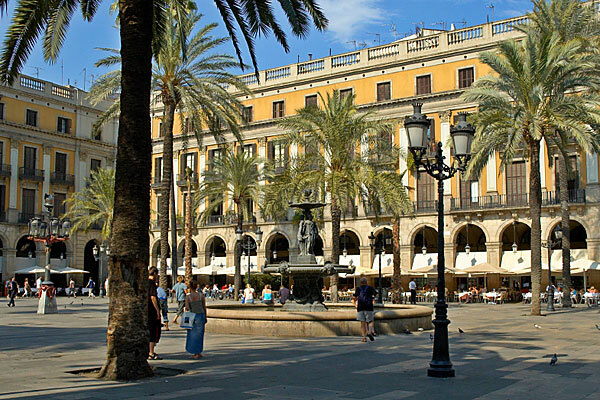 It has side plazas like Plaza Reial that are fantastic to hang out in and have great restaurants. Go, explore, see it for yourself. Stroll the streets and watch the people. It is the pride of the great Catalan city of Barcelona-one of the world’s best cities and one I’ve been to over and over again. I once saw a guy take a womans necklace right off her neck while she was eating and she didn’t even notice on the Ramblas. 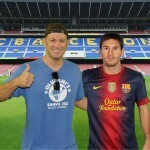 I love Barcelona. I stayed on Las Ramblas last time I was there and it made all the difference because everything is right at your fingertips. Good post, safe travels Lee. Will add the Mercat de la Boqueria, one of the oldest fresh markets in Europe. Thanks Pilar! I appreciate that and it is a great city! Thanks Ari and great to hear ou loved it. Most people do but unfortunately some people get ripped off..all part of the experience I guess! 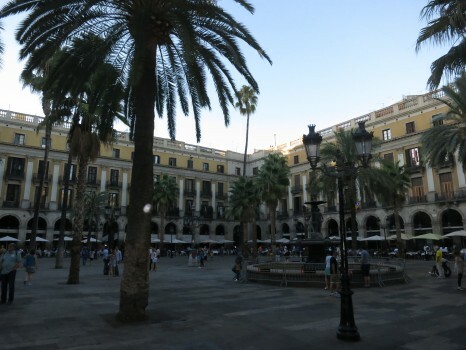 Plaza Reial is where I used to stay when I was younger at Kabul Hostel…now that I am older I still like to be around there in a hotel or apartment. I thought Las Ramblas was a dump, actually. Full of tourists and tacky wares. Overall, *away* from Las Ramblas, I thought Barcelona was a cool city, with great food and wonderful architecture. On LR though, the food was atrocious, but as you say it is a good spot for people watching, even if they are all tourists. 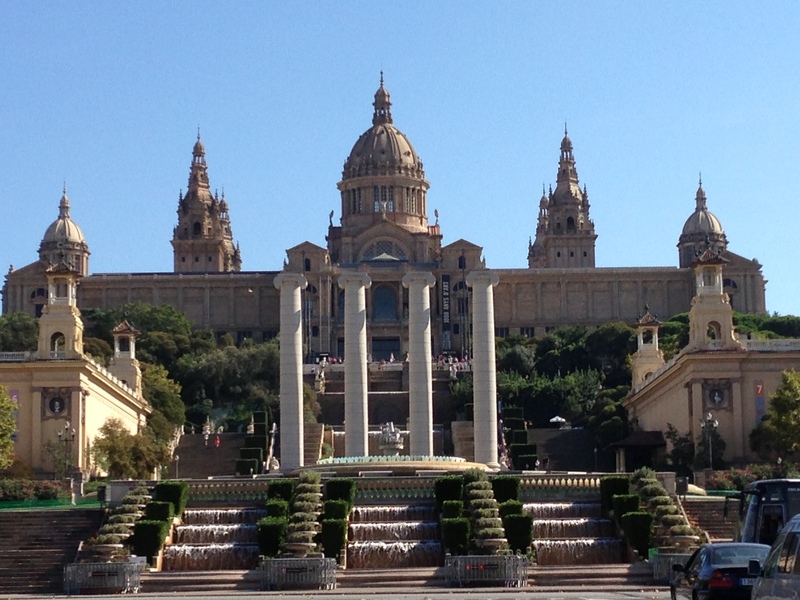 But the thing that made me never want to go back to Barcelona was the brazen thievery. I’m a small, 5 foot nothing, fragile looking woman. These two teenage boys offer to help me up some stairs as I was struggling with my suitcase -my friend had gone on up ahead… I saw her turn back to see I was ok, and the look of shock on her face as she turned and saw what was happening to me I’ll never forget… while one guy was helping me with my suitcase, the other guy was lifting my small but heavy backpack (ostensibly to help me) but I didn’t know he’d opened it and was proceeding to search through it – I must have been seconds away from losing my wallet/laptop/passports etc. I shudder to think at what would have happened if my friend had not turned around (they fled, and she came up to me and told me what they’d been doing). And these were well dressed, well groomed, middle-class-looking boys. Bastards. From that day on, I put a visible lock on my backpack, and refused help from all strangers! I don’t need that in a travel destination thanks – plenty of great cities to explore without such a high probability of getting something stolen. Hi Samantha and sorry for that experience you had. I too have seen that last week and had someone try to rob me back in 1998 and have heard numerous stories in between. I agree it’s not for everyone but again to me, it just smells like Barcelona, a great city. The food on the Ramblas is bad but you’re not there for food, it’s the novelty and people watching..the Sangria is still good though! 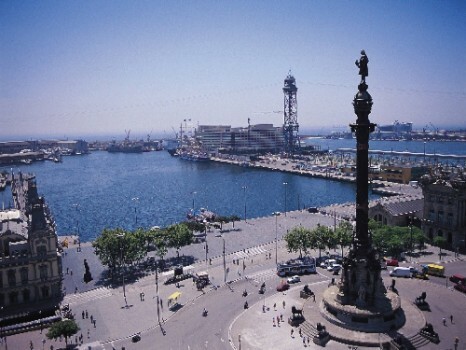 I’m in Barcelona at the moment & in a hotel located at the end on la Rambla on the square. I have personally found La Rambla is dirty, stinky, & not worth risking altercations with pick pockets. Very puzzled as to why it is an iconic tourist strip? There are so many better options, & the locals are more than happy to give advice. Hi Dana nd yes I know not everyone loves the Ramblas. To me, they are what I think of when I think of BCN. The first time I went there in 1998 I sat there for hours people watching and I do the same still. But yes it can be dirty, crowded and surely sketchy at night but still cool. As a Scot who’s been living in Barcelona for the last year and a half, I have to admit I’m sick to the back teeth of the Ramblas. I avoid it where at all possible – the novelty factor wore off after the first week. 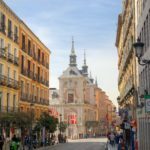 A much better street is the Rambla de Catalunya – lots of outdoor cafes but a lot more upmarket, and the same goes for the shops. Haha yes you were right Tom…I thought of what you said immediately afterwards! I hate when I hear that someone got pick pocketed in Barcelona because they always follow that by saying that they did not like Barcelona. It is my favorite city and a bad experience like that should not cause you to not like the whole city. I like Las Ramblas but it is not my favorite street in Barcelona. My favorite area is the Example and the street around it. Agree with those hating on La Rambla. It’s not Barcelona. 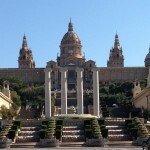 To see Barcelona, get off La Rambla. And for goodness’ sakes don’t eat on La Rambla, or stay on La Rambla if you want to sleep! 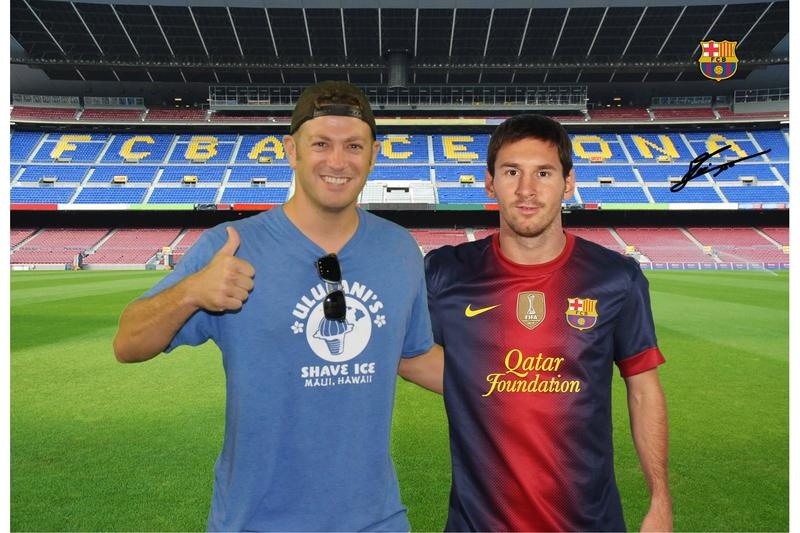 I’ve lived in Barcelona 8 years and avoid it as much as possible.